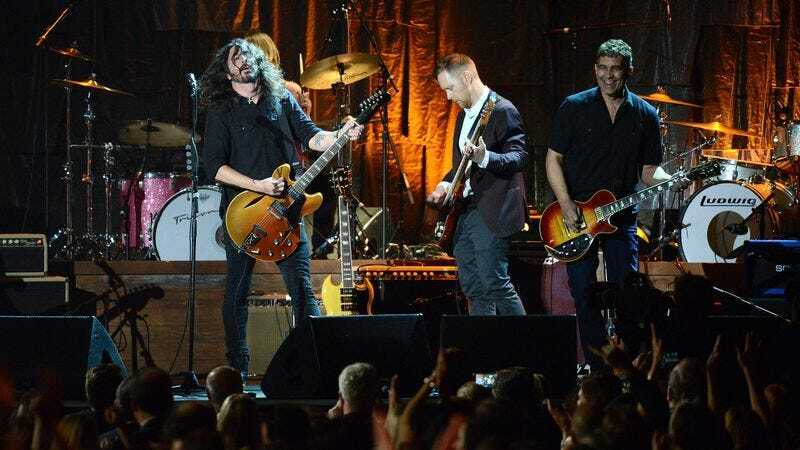 Earlier this year, the Foo Fighters announced that they’d be ending their 19-month public hiatus, returning to U.S. stages for Napa’s BottleRock Festival this May. British fans of the band are in luck, though, with Consequence Of Sound reporting that Dave Grohl and company held a surprise concert in Frome, UK earlier tonight. Not only did the Fighters take the time to confirm that they’ll be headlining England’s massive Glastonbury Festival this summer, but they also debuted two new songs.